Roland specialises in all areas of Property Law, from residential and commercial to agricultural. In his spare time he enjoys gardening. 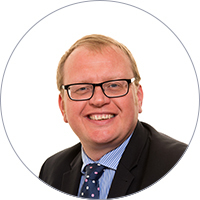 Adam specialises in Wills & Probate, Tax Planning and Lasting Powers of Attorney. He also enjoys leisure boating. Christian specialises in all aspects of property work. He enjoys sport – especially rugby. Ruth has been Practice Manager at UTK since 2003. In her spare time she enjoys reading and singing. 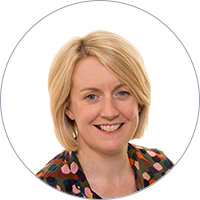 Ceri is a busy mum who specialises in Wills, Probate, Tax Planning, Powers of Attorney and Court of Protection work. Luned specialises in Wills, Estate Planning, LPA and Court of Protection work. In her spare time, Luned enjoys singing. 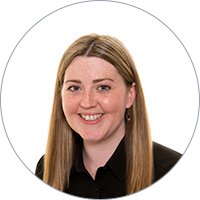 Nia specialises in Matrimonial, Children and Family Law and Residential Conveyancing. In her spare time she enjoys running, reading and taking photos. 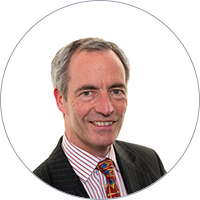 Biography: Roland Lewis is a graduate of the University of South West England in Bristol, attended the College of Law in Guildford and undertook his training contract with Ungoed-Thomas & King before being admitted as a Solicitor in 1990. Roland is the head of our Property Team and has over thirty years experience dealing with all types of property work including Residential Conveyancing – both freehold and leasehold, as well as mortgages and re-mortgages. Interests outside of work: Gardening, cooking, spending time with his family, classical music, holidaying in France. Testimonials: "Wonderful personal service, excellent communication and superb attention to detail"
"Always very clear with explanations of legal procedures. 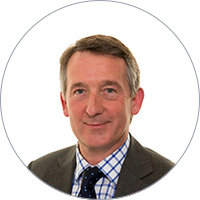 Very easy to contact and quick to reply"
"A combination of courtesy and professionalism"
Biography: Adam Bruce is a graduate of Trinity College, Oxford and was admitted as a Solicitor in 1988. He worked for over six years in the top rated Tax and Financial Planning Department of the City of London Firm Macfarlanes. He then returned to Wales to work in Swansea for seven years before joining our firm in 2001. He has over thirty years experience in dealing with Wills, Probate and Inheritance Tax Planning matters. He is a member of the Society of Trust and Estate Practitioners – he recently stood down as Chairman of the Wales branch. Testimonials: "Very approachable and sincere." "I received a personal, caring service with high professional standards." "We received nothing but compassion and courtesy during a very difficult time." Biography: Christian Kirby is a law graduate of the University of Hertfordshire. He then attended the College of Law in London. Christian qualified in 1997 and practised in his native Kent, before moving to Wales in 2006 when he joined Ungoed-Thomas & King. He specialises in all types of property work including Residential Conveyancing – both freehold and leasehold, as well as mortgages and re-mortgages. Christian has a good working relationship with all the local Estate Agents. Interests outside of work: Sport (especially rugby), reading, cooking, taming a large garden and providing a taxi service to 2 teenagers. Testimonials: "Communication was fantastic and we were updated during every step of the way." "Christian knows my personal situation and provided a really personal service." "Christian was always available to speak to me either on the phone or when I dropped into the office." 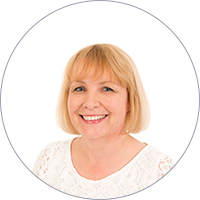 Biography: Ruth has been with Ungoed-Thomas & King as their Practice Manager since 2003. She had previously worked for Barclays Bank for sixteen years, latterly as a Corporate Manager in the South West Wales area. Interests outside of work: Reading and cookery and Ruth also helps out at Carmarthen Youth Opera and Bro Myrddin PTA. Qualifications: BSc (Hons), TEP, Member of the Solicitors for the Elderly. Biography: Ceri Davies is a local girl who grew up in Carmarthen. She graduated from both the University of Surrey, Guildford and the University of Glamorgan. 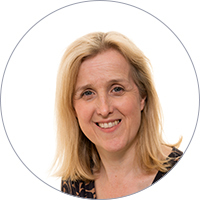 She was admitted as a solicitor in 1998 and has specialised in Wills, Probate, Powers of Attorney, Court of Protection and Inheritance Tax planning matters for over 20 years. Twelve of those years were spent with a Thames Valley Legal 500 firm before Ceri returned to her native Carmarthen in 2012. She is a full member of the Society of Trust and estate Practitioners, having won the STEP President’s prize upon qualification. Interests outside of work: Busy mum to 2 young children. Testimonials: "We received excellent advice from Ceri and appreciated the home visit." "Ceri was always very pleasant and was a great help in explaining what was happening." "A professional friendly service from the minute we arrived at the office." Biography: Luned Voyle is a graduate of Aberystwyth University and attended the College of Law in Chester. She then undertook her Articles with Morris Lloyd Solicitors in Carmarthen before qualifying as a Solicitor in 1995. Luned has for over twenty years specialised in Wills, Probate and Inheritance Tax Planning matters and joined Ungoed-Thomas & King in 2013. Luned is a welsh speaker. Interests outside of work: Governor at local primary and secondary Welsh medium schools in Carmarthen. Also enjoys singing and has been a member of several local choirs. Testimonials: "Luned is very friendly and down to earth. She is also Welsh speaking which made me feel more relaxed." "Luned has a very professional attitude and gave my matter prompt attention. The office was very welcoming with lots of friendly faces and lovely coffee." "We appreciated being spoken to in layman's terms rather than in legal jargon." Qualifications: LLB. Member of Resolution. Biography: Nils Richards graduated from Cardiff University with a BA(Hons) in Music before completing the Graduate Diploma in Law. 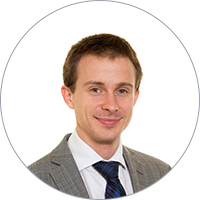 Nils gained further experience as a Paralegal with Carmarthenshire County Council before moving to Ungoed-Thomas & King at the start of 2015. He subsequently completed a training contract with UTK and qualified as a Solicitor in 2016. Since qualifying, Nils has undertaken all types of property work including residential conveyancing, mortgages, re-mortgages, transfers of equity and equity release matters. Interests outside of work: Trombonist and Secretary of Burry Port Town Band - National Eisteddfod Champions 2014 and 2015. Following Tottenham Hotspur FC and skiing. Testimonials: "We received regular updates from Nils during our matter." "We were always looked after by Nils which gave us confidence." "Good personal contact and a fast service."